Arguably the Best Branding Bang for the Buck! Business Labels for Your Equipment and Packaging. Brand Your Business with Dome Labels. Cost Effective Branding Appeal! Labels that have been domed are in high demand. Dome labels are the perfect way to differentiate your brand from the competition, enhance your image, and give your logo or graphics a more up-scale, appealing look. Domed labels are more than just standard domed stickers that are durable and attractive. A business label that has been domed provides the low cost, high quality impression a business brand or image needs to communicate quality and durability. Domed business labels are suitable for interior and exterior applications. Is your business looking for a more rugged labeling solution? Custom label printing for waterproof and weatherproof labels, or embossed labels is used for countless applications. Domed labels are durable, weather resistant, thick, clear polyurethane domes over a full-color label. They are resistant to mechanical damages, and are UV resistant so they will not fade or yellow when used outside or exposed to the sun. Good label manufacturers include coatings and finishes that are resistant to solvents, chemicals, humidity, and salt spray. Your custom business labels should be RoHS compliant. Dome labels are manufactured by silk screening, offset printing, or digitally printing a decal and applying polyurethane over the decal producing a three dimensional look. Labels are typically available in rectangle, square, circle, oval and triangle shapes, but some of the manufacturers specialize in custom shapes and custom colors. Domes can be made on a wide variety of materials including paper, foils, films, Mylar, vinyl, holographic, and fluorescent materials. Labels are available in different color printed types, such as pantone and metallic shades. Brushed silver or gold, and chrome silver or gold are the most popular choices. The domed labels are made with permanent, removable or all-temperature adhesive backings, as well as low energy adhesives specific to electronic applications. Labels can also be printed with consecutive numbering and bar codes. Dome labels are produced in a way that allows as little as one label to be printed at a reasonable price. Some manufacturers offer a generic clear dome that the customer sticks to their own printed labels or decals, and others offer a label that is coated for durability, but not domed. Depending on the polyurethane material, the finish coatings applied, and the environment surrounding the label, it should last from 2 to 10 years or more. 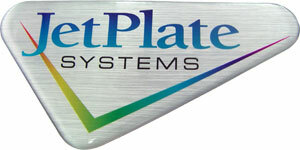 Dome labels are a great way to market your brand and image in an eye-catching, innovative way.